The nature of the creation of our early coins is very different than those produced today. Prior to the use of a steam powered press, each coin was produced by 3 to 4 men on a hand operated screw press. Each die, both obverse and reverse were created by the Mint engraver by punching in each element by hand from the dentils of the border to the individual numbers of the date, stars on the obverse, and the denomination and legends of the reverse. Due to this, the position of each of these items in relationship to each other are different for every die produced. Using these points of position is how each coin can be attributed as to what dies were used to produce it. The combination of a unique obverse and a unique reverse die used together in producing a coin is called a die marriage. Many times the word "variety" is used to distinguish one die marriage from another, such as an overdate (1814/3 versus a normal 1814), but this is not a true definition of a die marriage, as there are multiple die marriages of 1814. In fact, in several years there are multiple different die marriages of an overdate such as in 1817, 1818, 1819 & 1820. Shown below are the main points of attribution used to determine the die marriage of a particular coin of the Capped Bust type. Many of these points are similar to those used for the earlier series of half dollars, i.e. the Flowing Hair and Draped Bust types. For the reverse, the ribbon with E PLURIBUS UNUM was part of the master die and is the same on each die. Therefore, the positions of the letters of the legends above it in relationship to it can be used to determine a particular die, as well as each letters position in relationship to each other. The position of the denomination below the eagle in relationship to the claws and stem end of the olive branch are also key attribution points. The lines of the shield on the eagle's breast were hand engraved on each die, so various differences in these lines can also be used to attribute a particular die. 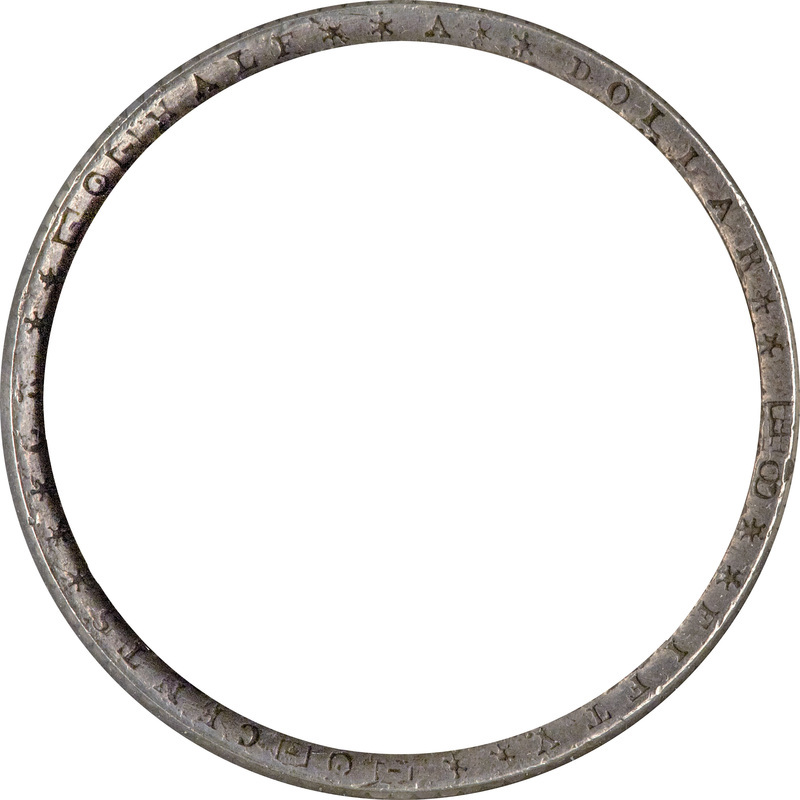 For many of those coins struck before 1807, there are various stars, boxes and circles interspersed between each word. After these items were removed from the edge dies, several other items come and go across the years including: stars; x's; i's; lines, both straight and angled; etc. This lettering was added to the blank planchet using a pair of parallel bar dies prior to the striking with the obverse and reverse dies. Due to the nature of this process there are many edge errors found, such as missing letters and multiple struck letters. As an added bonus, as these edge dies wore out and were replaced, we can track this and create a probable emission order, showing us which die marriage was struck in what order, even if a common die was not used on each marriage.